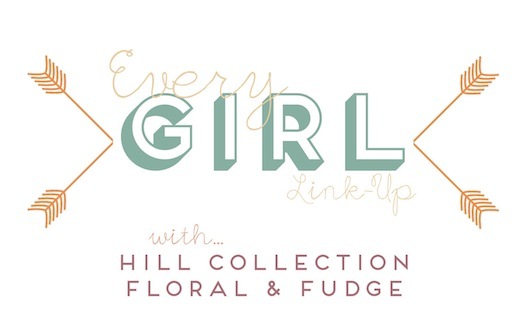 Today's installment of Astleigh's and my Every Girl Link-Up is FALL DECOR. As per usual, I decorated our mantel, my favorite decorating space that is the only surface my boys still can't reach in our house :) The colors that I focused on are a bright apple red and a soft orange. And I am pretty fascinated with pumpkins right now, so they're my main theme. The adorable wooden-twig pumpkin with a string of lights is from Michael's. I just bought it on Sunday after Astleigh tempted me with a photo of hers on Instagram. It looks so beautiful lit up in the dark! The three real pumpkins you'll see in these photos are from our garden! There are five total pumpkins that have grown this year, and the photos don't really show how big they are! All five are the same tall and skinny shape. They composted from the pumpkin that I grew last year, and I'm guessing they each weigh around 20 pounds! The "Well, Hello Beautiful Glorious Fall" print was found here. I thought the little gold, glittery leaf was perfect! The red leaf bunting is from Michael's, and it pops on our newly white fireplace. The leaves look so realistic to me, which I love. I bought a few bags of fall M&Ms to fill an apothecary jar. The two red candles are Glade's limited edition "Apple Tree Picnic" that I picked up at Walmart the other night. I've had the "Fall is Fabulous" pumpkin print for a couple of years, and I found it here. We finally got our butcher paper roll back up after painting our walls a couple of months ago. The writing is based on Psalm 107:37: "They sowed fields and planted vineyards that yielded a fruitful harvest." Do you have a fall decor post to share? Grab our graphic and link up below! I can't wait to see how your homes are decorated for the season! Our next link-up will be September 24th, and we'll post about anything related to Home DIY projects! Click here to see the rest of the year's topics. I was able to participate today! SO excited to link up with y'all. Your fall decor is out of this world, you're killin it girl! So cute!!! I love your light up pumpkin - I've been wanting one of those so this year may have to take the plunge!! Scary about the bees! I have had that happen before too - oops! I love the butcher paper! LOVE it!, especially the red apple and orange scheme!! And aren't the twinkle lights in the pumpkin the best at night?! p.s. the fireplace's white facade really makes your décor pop!! The twinkle-light pumpkin is so beautiful--thanks for finding it first! where did you get your butcher paper holder? i've been on the hunt for one like that! I love that you grew your own pumpkins -- so special. And the roll of butcher paper is just the best. I absolutely love it! Love that garland and the butcher roll!! So cute! so many cute things Rachel! love the leaves on the mantle, candy in the jars and your printables! Okay I might have to go to Michael's after seeing that lit up pumpkin in both yours and Astleigh's posts! I love both of your fall prints and the apothecary jar of M&Ms too!! Those pumpkins from your garden are absolutely perfect. How neat to incorporate them into the decor!!! Looks lovely. Do your boys ever notice the decor? The boys notice, but honestly, they don't seem to care too much about the fall stuff. Now you have me excited for fall! Maybe I will drag everything out this weekend. Hopefully your temps are getting cooler down in Texas!